News Photo by James Andersen Hillman's Emilee Noffze (2) hits a ball past Gaylord St. Mary defender Emma Cherry during a Class D volleyball district semifinal on Wednesday in Atlanta. ATLANTA–During the postseason, no matter how you slice it, a win is a win. That proved true for the Hillman volleyball team on Wednesday as the Tigers rallied from a large deficit to defeat Gaylord St. Mary in four sets during a Class D district semifinal at Atlanta High School. Hillman won 25-11, 21-25, 25-10 and 25-23. The win moves Hillman to Friday’s district final, scheduled for 5 p.m., against Posen. The Tigers are in their third final since 2014 and have a chance to win their first district championship since 2009. Anna Callender and Brooke Jones slammed down kills to break a 23-23 tie in the fourth set to secure the win for Hillman after an up-and-down night that almost went the distance. Hilllman trailed by as many as eight in the final set, but caught fire at the right time. Trailing 21-15 late, Hillman outscored the Snowbirds 10-2 the rest of the way, including four of the last five points. It was a relief for the Tigers who dominated the first and third sets, but struggled to be consistent in the second and fourth sets. But when it mattered most, Hillman took care of business. 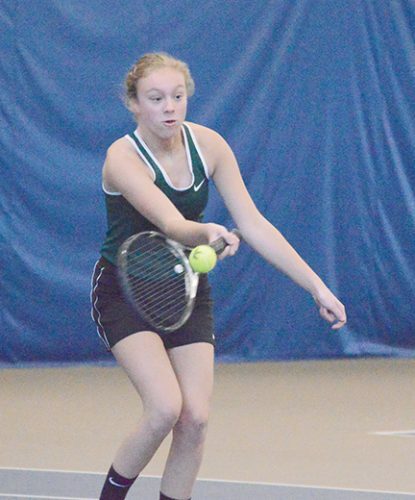 Numerous errors and a lack of communication allowed St. Mary to pull ahead 7-1 to start the final set before Hillman was able to find some rhythm. The Snowbirds eventually pushed their lead to 14-6 and later 18-10, seeming destined to force a fifth set. 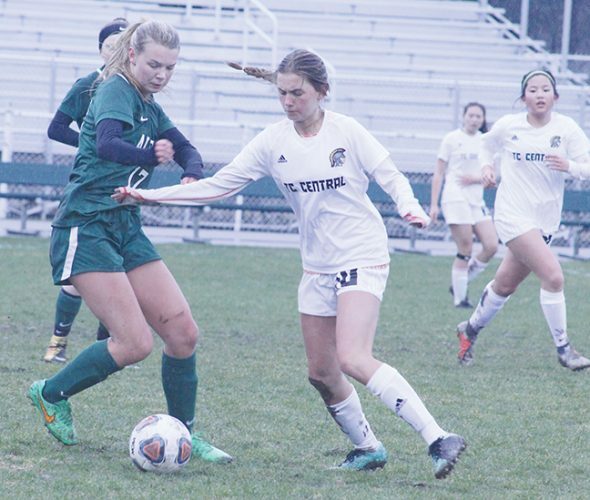 Things changed quickly several volleys later as St. Mary struggled offensively several times, running out of room at the net to make plays and turning the ball over to Hillman. That allowed the Tigers to pull close 21-20. Hillman eventually tied the set 22-22 after St. Mary whiffed on a serve receive attempt. An attacking error gave Hillman a 23-22 lead and St. Mary scored once more before Callender and Jones came up with two of the biggest points of the night. Jones had seven kills, three aces and 43 digs for Hillman and Callender had 10 kills. Alison Samp had 24 assists, nine digs and five kills; Emilee Noffze had eight kills; Ricki Steinke had 20 digs; Makenna Grulke had six kills and MacKenzie VanPamel had 19 digs, six assists and three aces. Hillman came out hot to start the match, building an 11-3 lead in the first set on the strength of strong serving and offense. The Snowbirds struggled to respond and Hillman closed the opening set on a 6-2 run. 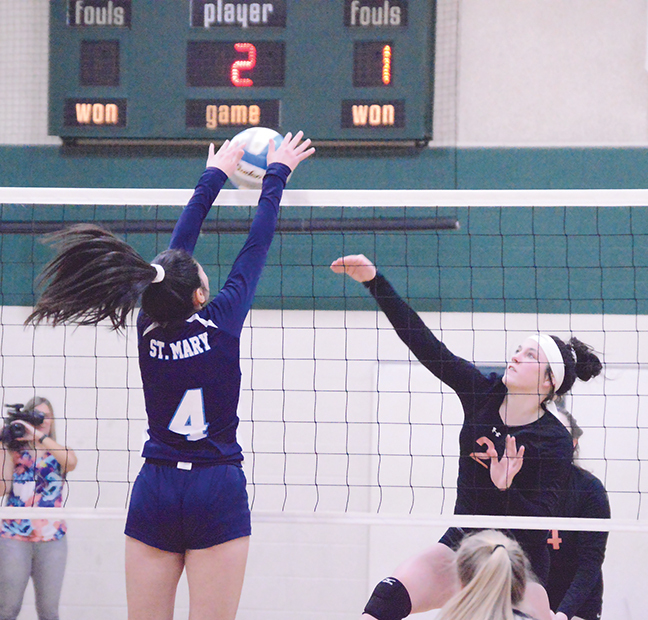 St. Mary evened the match in the second set, pulling away from the Tigers down the stretch and holding off a late rally attempt. Hillman rebounded in the third set with a 14-0 run early on that the Snowbirds had no answer for. Friday’s matchup will be the rubber match for both Hillman and Posen. 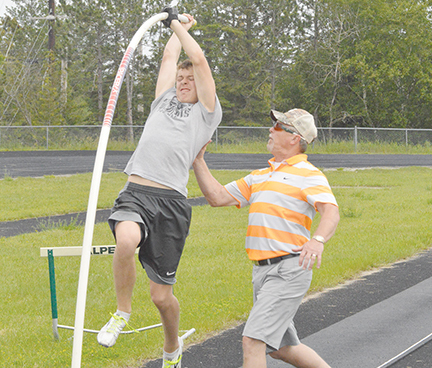 Hillman won the regular season matchup and Posen defeated Hillman last weekend during the North Star League championships. 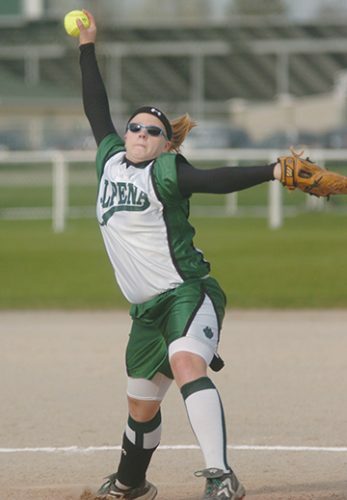 Posen is making its fourth district final appearance since 2010 and is aiming for its first district title since 2008. While Hillman was happy to advance on Wednesday, Weiland is hoping to see more consistency from her team in the district championship. Posen defeated Atlanta in three sets earlier on Wednesday night: 25-14, 25-6 and 25-14.